We grow on a summer residence. To regain your youth, it is not necessary to go to tropical countries for strange plants. Herbs for Men. It is much easier to plant some medicinal herbs on your garden plot. Then your six hundred square meters will turn into the most affordable and convenient phyto-medicine. In the Caucasus, «exciting action» is attributed to many spicy herbs, which are traditionally used in cooking. As a means of increasing sexual opportunities, use fresh leaves of parsley and celery. 2 tsp 3 times a day. It is also recommended to boil and infuse parsley seeds. To prepare the broth, take 4 teaspoons of parsley seeds per glass water. Boil in a water bath for 30 minutes, insist at room temperature for 10 minutes, filter and take 1 tablespoon 20 minutes before meals 3-5 times a day. To prepare the infusion, this is the amount of raw material boiled in boiling water in a thermos, insist 6-8 hours. Filter and take the same scheme. Today, for ordinary citizens, the nearest «apothecary garden» is a garden plot. In the spring, plant parsley and celery on it. 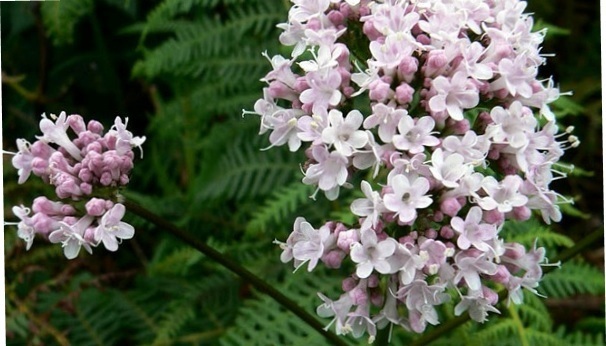 And during a walk through the forest, you can find and transplant the valerian bush of medicinal plant. Brewed with steep boiling water, this herb reduces the excitability of the central nervous system, enhances the processes of inhibition in the cerebral cortex and the action of sleeping pills, thereby helping to get rid of the neuroses that often underpin the development of impotence. In small doses of valerian preparations have a weak stimulating effect. It is good to use it in a mixture with motherwort, peppermint, hop cones. You can find on the edge of the garden or on the forest edge and peppermint. It would be nice to plant this plant on your garden plot as well — it gets on well and looks beautiful. Fresh or dry mint leaves can be poured with boiling water, insist and take half a cup twice a day for the same purpose as valerian.